How to Set Any Song as iPhone Ringtone [iPhone Custom Ringtone]? 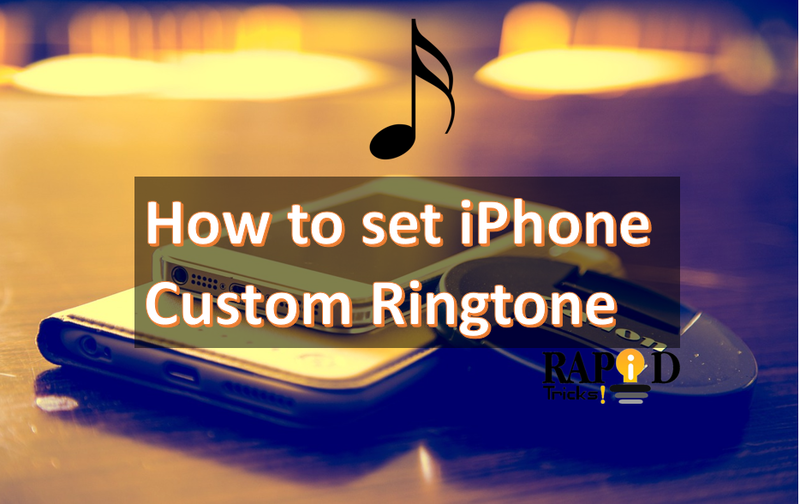 Today in this article we will talk about “How to set iPhone custom ringtone”. There was a time in this generation where ringtones were the best to have on your phone. I had Terror squad’s lean back for all my incoming calls. I don’t need to say that they go obnoxiously really, really quickly. Nevertheless, creating and assigning a ringtone for your different contact can still be fun, albeit a little more complicated than installing a third-party ringtone directly onto your iPhone. How to set iPhone Custom Ringtone? Open iTunes on your computer and find a song that you want to snip. So, now, we are going to be talking a 30-second clip (max for a ringtone is 30 sec), You have to make sure to select a song with a catchy chorus some type melody that would make the best ringtone. Now, you have to click right button and select ‘Get Info’ followed by the “option”. In the options tab, you will see the start and stop. Now, here is where you will enter your start and stop time for the ringtone. If you need to listen to a song a few periods of time to take note of exactly when to start and stop your clip. When you are done with your timing, press OK. Create an AAC version of your song by right-clicking and selecting create AAC version. You will have the original and the AAC version in your library now. Now, I am suggesting you change the title of the AAC version to make identifying it very simpler and easier. Now, we have the original and the AAC version, you can change the original song back to oats regular start and stop time. So, now you just uncheck the box next to the start and stop. From iTunes support: “You purchased older song are encoded using a protected AAC format that prevents them being converted. If you want to convert this format into another format, then, follow the instruction in this article to upgrade them”. Follow the steps laid out in the article or pick a more recent song, 2010 or later. Now, right-click on your new AAC song clips and selects show in finder. With the help of finder folder, right-click your newly created song and selected Get info. Now, you will get this in Info menu, under “Name and Extension” change the extension for .m4a To and save your changes. Once save, drag the file from the folder to your desktop. Then, you will connect your iPhone to your computer and open iTunes. Select the three dots next to your phone and click Tones in the drop-down menu. Drag the tone from the desktop to the Tones section. Click on the iPhone icon and go to Tones ->Sync Tones-> selected Tones-> and the selected your tone and sync your device. Now, back on your phone, head to Setting > Sound > Ringtones and you will select your new ringtone from the list (it should be alright at the top). So there you have it. You can repeat this process and adds as many custom ringtones from the list any song in your iTunes library. Let us know which tone have you create in the comment section. Don’t forget to check this page for the latest tips and tricks for your iPhone.